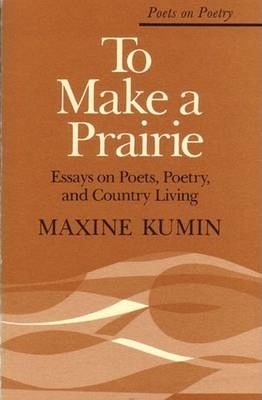 Maxine Kumin is the author of six books of poetry including Up Country, which won the Pulitzer Prize in 1973, and The Retrieval System, published in 1978. In addition, she has shown her literary versatility in publishing four novels and more than twenty children's books. She is a popular reader of poems at colleges across the country and has conducted poetry workshops at Columbia, Brandeis, and Princeton universities. In this book, we catch her lively conversation in a series of interviews, her thoughtful assessment of literature in articles and reviews, and her ranging good sense in lectures delivered at Bread Loaf. Perhaps most moving of all are the accents of grief and friendship we hear when Maxine Kumin writes about Anne Sexton. Finally, in a group of essays drawn from her experiences in the country, we have the poet herself in her own words---the life lived. Poets on Poetry collects critical books by contemporary poets, gathering together the articles, interviews, and book reviews by which they have articulated the poetics of a new generation.